International friendlies – what have our players been up to? International friendlies - what have our players been up to? 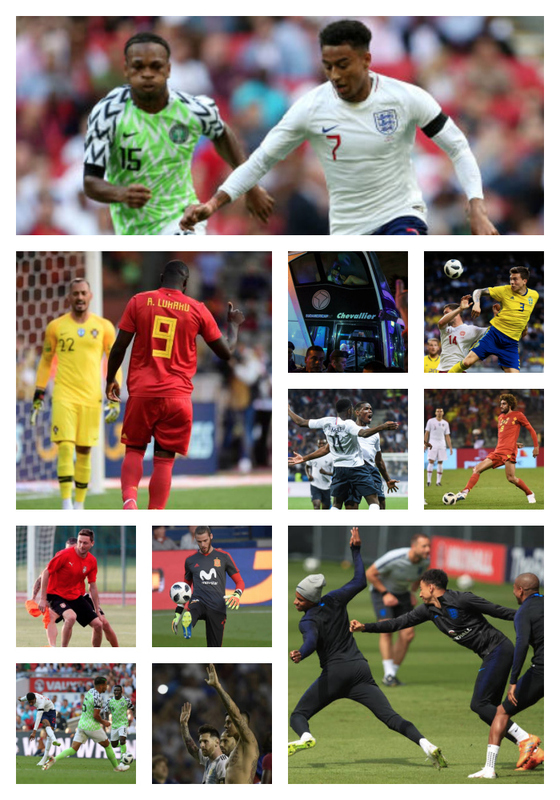 RoM has launched a World Cup preview with football writers from around the world write about the Manchester United players who are going to Russia. Jesse Lingard and Ashley Young started England’s 2-1 win over Nigeria, playing for 67 minutes. Marcus Rashford came on for the final 17 minutes. Phil Jones left the squad as his wife is due to give birth. Romelu Lukaku started Belgium’s 0-0 draw against Portugal and was one of four players to be rested at half-time. Marouane Fellaini came on for the second 45 minutes. Our striker’s relationship with the fans isn’t the best though, with him reflecting on the standing ovation he received after scoring twice against Saudi Arabia in March. “A first applause after nine years,” he said. “Has everything been forgotten and forgiven between me and the public? As far as I am concerned not yet. One applause in nine years, then it is not forgotten and forgiven.” Lukaku is Belgium’s all-time top scorer. Victor Lindelof played for 90 minutes in Sweden’s 0-0 draw against Denmark, making his 20th appearance for his country. The 23-year-old got married last week. Marcos Rojo came on for the second half in Argentina’s 4-0 win over Haiti. David de Gea will likely play against Switzerland for Spain this evening at 8pm. So its official, Fred is due for medicals tomorrow...congrats #Red Fred. Been thinking, we could buy Shaqiri of Stoke city.He just confirmed he is leaving and wants to stay in England. He fits in naturally into our RW position.Will come cheap with not to high salary too. What do you guys think? Yep just read about it this morning. Its good to do the business early with out that last day crap. Not seen him play so will watch out for him with Brazil at the WC. As for Shaqiri, interesting question....He has bags of skill no doubt, however do we really need him? Seems we are also close to signing 19 year old full back Diogo Dalot from Porto. He speaks very highly of you though , but reckons you seldom get the beers in ! Dalot had a €20million (£17.5m) clause in his contract that could be activated on June 30. 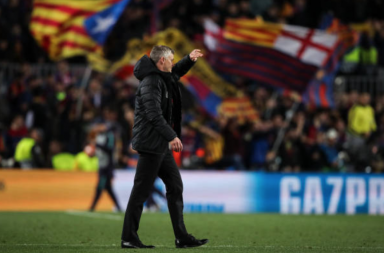 It reported eight clubs are willing to pay an even bigger fee to sign the full-back before then. Just biding my time waiting for the fixture list to be released ( then to be rearranged to suit TV) so I can plan my excursion to Old Trafford at Christmas (presuming my daughter comes over from the states) and then to get the wife on board . A bit of trivia for you Louise Bryne is the match day coordinator (pic below) For G. Nev (and Co) at Hotel Football . She was brilliant at organising everything for me , especially with the wife being really ill at the time and the daughter and family flying over from San Francisco (it made their arms ache) . I was so surprised when I met her (and I took her flowers as she had been so helpful (i'm also a creep)). I was expecting her to be a middle aged northern lady, but she was a youngster (they all seem to be at the hotel) from Plymouth, who supported Chelsea . She was also a football coach in the states . Bit of trivia for you, when we played Barca in March 1984 (I was there) , who had who was at the time the best player in the world i.e Maradona in his pocket for 90 minutes? Think I was there also, was the player you mentioned a Mr Scholes ? A part of my daily slavery I take the wife's dog for a three mile walk every morning at 5-00am . Scholles is invincible, he was in disguise . Oddly enough I can remember my very first match. I can remember the score (3-2 to United) but very little else . Even I was young then ! Granted, thought you were 250! lol Resident dinosaur!! That atmosphere and noise is what we have to bring back somehow to Old Trafford. When I went last December it was like a morgue, and incidentally it is the only time I have ever sat in the chairs . It is a bit like Glastonbury (just up the road from me), a lot of people go there just to say they've been, the football seems a secondary thing to a lot of them. They do bring in a lot of revenue though which I'm sure the Glaziers love . I could not believe the change when I went after such a long time . The whole logistical side of things was very interesting though . It is the sign of the times I suppose . I prefer the good old days with the old first division, four bob to get in and plenty of blood . Another useless bit of Info . The first match that the (then) new cantilever stand was opened, was the charity shield against Spurs in 1965 (or 6). If memory serves me I think Pat Jennings the Spurs goalkeeper scored . More useless info on request ! All banter aside, hopefully turns great and shows the things we expect from a ManUtd player. We could do with a signing to step up to the plate and show his worth. I wonder why he has never played for a big club though ? We look forward in anticipation ! I think a lot of peeps are confusing the Fred (Frederico Rodrigues de Paula Santos) with another Fred (Frederico Chaves Guedes) who was a cumbersome striker for Brazil in the last world cup . So to most of us this one is a bit of an unknown quantity . which makes the signing all the more intriguing . He was banned for the second half of last season worldwide after being tested positive for diuretic Hydrochlorothiazide . But that aside he does appear to have all the attributes desired in a modern central midfielder. A gifted passer with both feet, he is capable of breaking the lines of the opposition either with incisive through-balls or powerful dribbles from deep. The Brazilian is also diligent in carrying out his defensive duties, regularly seen running back towards his own goal to recover possession and sweeping up behind team-mates. Bring on the new season ! But yeah, it’s definitely a bit of mystery, the player but its nothing crazy. He is for a reason in that brazil squad which is not a joke squad. They are filled with talent, so if you get there, you are very good. Also 2 top managers, Jose and Pep wanting you, is pretty good news. Here’s for a great player! As I said , I think their is a lot of confusion between the two Freds. I was mistaken at first, this one is only a baby . I have a feeling that Jose might be changing tack a bit with the two young signings we appear to be getting . Hopefully they can shake a few of the "stars" up a bit . I know what you meant by "old" on your other threads . But Jose has tended to go down that road, but without much success . That's what I meant when I said I think he is changing tack . And yes here’s for a title challenge !!! ”Arsenal interest in Fellaini is genuine and it sounds like he’s more likely to sign for them than he is to renew with MUFC or sign for AC Milan. Has already spoken with Emery, who wanted to sign him for PSG. Yes here's to a title challenge . Can't say too much about Jose, although I don't like him as a person, he is the one I would have chosen after SAF. I just hope we take a more attacking stance next season . But some of the players need to step up to the plate also . It will all turn around eventually . I also think that Jose will extend his contract beyond this season, hence the younger players on his radar . If all goes well we should be the most improved side next season performance wise, and if we are, we will be champions. Spurs and the "L" team are nothing , Arsenal have to restructure, city have had their moment in the sun. so if we're bold, the title is ours to win . And hell no, we need positivity. If I can remember the details would like to hear the story about the supporters trip to boro just after their promotion to the top flight, our traveling restrictions, the prisoner, and the women with the tattoo across her forehead? The age thing is one of the many myths bundled around by our manager's distractors, just like the academy thing, especially in comparison to other managers. Most top managers buy over and under 25 years in a balanced way, mixing youth with experience. It's not a foreign concept at United. We have brought in Blanc, Michael Owen, Sheringham, Berbatov, RVP, Larson, Veron, Yorke etc, at various times, as well as younger players. Jose has mixed them up too. Lindelof, Bailly, Lukaku, Pogba under 25. U learnt from me to support the manager? U must be joking, did u also learn to support all our players or did u skip that part of the lesson and pick which players u hate to bash. When Jose is sacked and we get a manager who u don't like u would still come and say u learnt from me to criticize whichever manager u feel is destroying our club. Apparently I'm your role model and u are learning from me. It wasn't a criticism , but it does seem he had gone for instant success , and the younger players on his radar gives me the impression he will be here for the long haul . Yes Lindelof, Bailly, Lukaku, Pogba are under 25, but have hardly set the world alight , apart from Lukaku who has done what was expected . "Zlatan, Mikhi, Matic, Sanchez over 25 [ and 2 are gone] "
Indeed,long term planning and a myth! Matic has done well , Sanchez has been atrocious but I would imagine will find his feet next season . All in all next season should see a big improvement . I certainty hope so ! So what if two of his signings will be in their 30s? Are there not enough examples above where we bought some players for " short term" use ? All I'm saying is that it's not a unique situation. Yea role model - a person looked to by others as an example to be imitated. He better change his ways and we better be bold..
We haven't been for a number of years now and failed in every one of them under different managers! Our club just can't win by doing a Chelsea.. it's in our DNA I believe! No to shaqiri.. I just don't see what use we have of him.. he wouldn't get ahead of Mata, Lingard or Sanchez on the right.. we also have Rashford who José has used at times over there and possibly Pereira too capable of playing there..